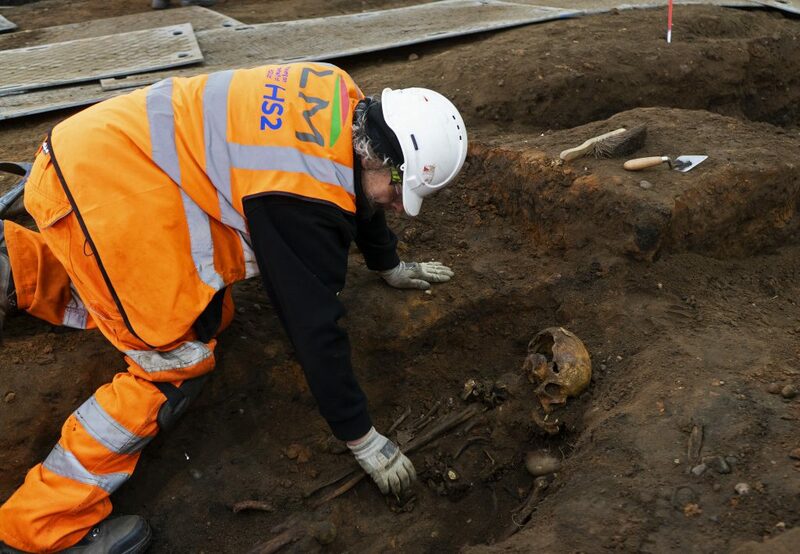 HS2’s archaeology programme is Europe’s biggest dig and is providing fascinating insights into the everyday lives of the people and communities who made modern Britain. It is also a great opportunity to bring fresh talent into the sector and upskill local people. 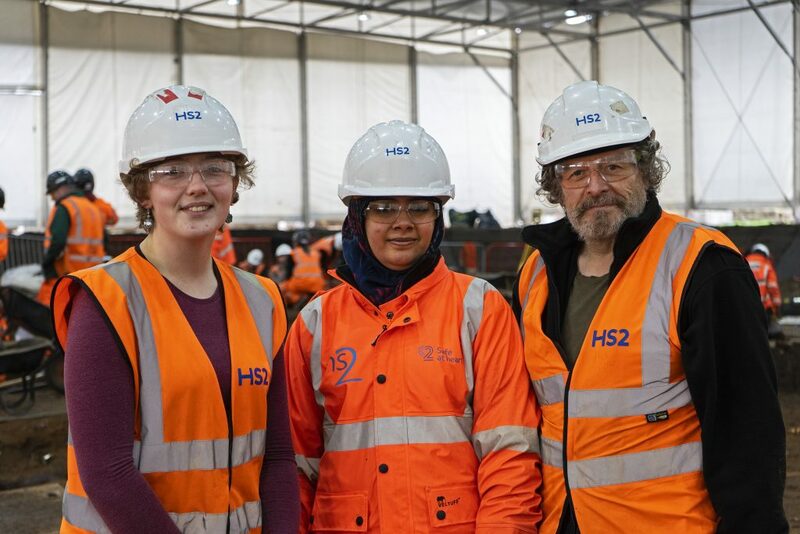 In Birmingham, we’re working with partners: Laing O’Rourke Murphy, West Midlands Combined Authority and BMet, to train the next generation of archaeologists and carry out the vital work of unearthing Britain’s rich archaeological heritage along the route of HS2. 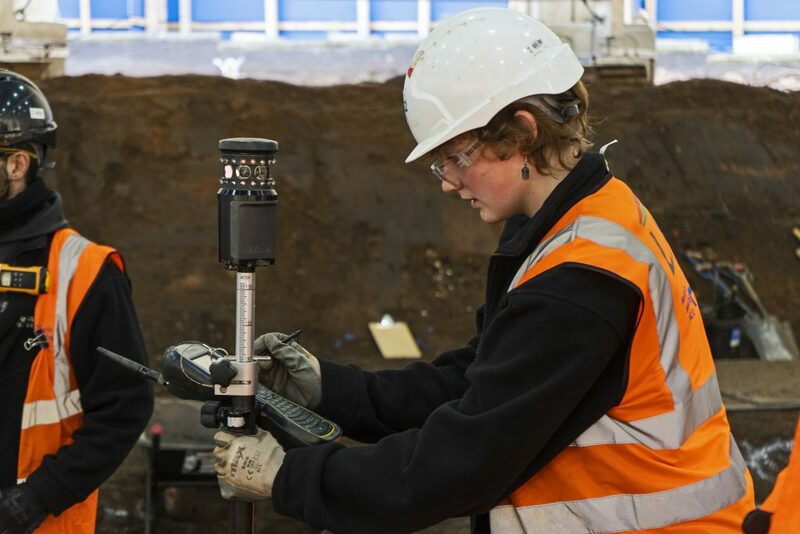 In 2018, we launched a MOLA Headland traineeship at our HS2 site at Park Street and welcomed ten trainees aged 18-58 to work alongside our experts to gain new skills and begin their careers in archaeology. This site is located where the brand new high speed rail terminus station will be in Birmingham. It was a burial ground between 1810 and 1873, and our experienced team and dedicated trainees are excavating and studying the remains of those interred there and learning more about the people who helped transform the city from market town to thriving industrial city. I was drawn to the vocational nature of the archaeology traineeship but am also really interested in the study of skeletons and evidence of medical intervention in the past, as I have always been fascinated by medical law. I’m really enjoying the traineeship and I’m keen to explore if there is a future for me in archaeology. Iram has a MA in law and has been volunteering in a law firm but hadn’t been able to progress her career further. 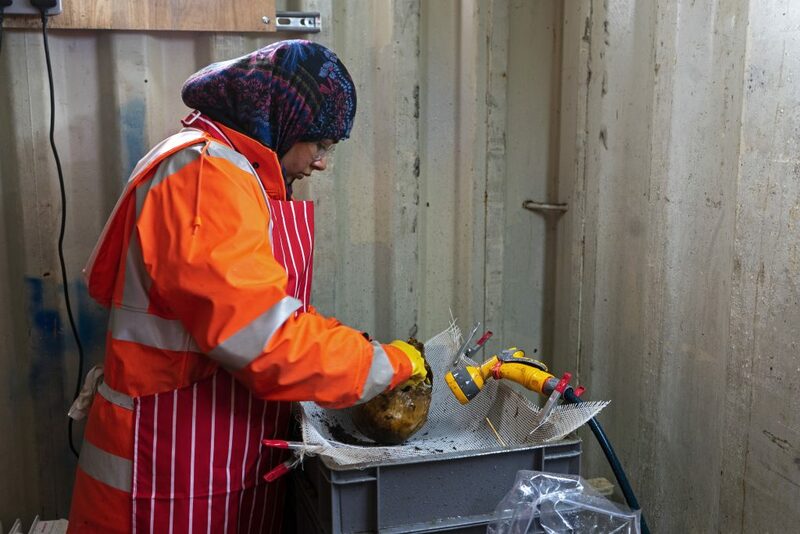 A busy mum of two, who also has a part time job as a cashier/accountant, she wanted to gain some professional experience and was drawn to the vocational archaeology traineeship. Having studied medical law she is also really intrigued to learn more about the human skeleton and medical practices in the past. I want a career that is interesting to me but was finding it really hard to get any work on account of my Asperger’s. I’m really enjoying the archaeological work but also being part of a team. Eleanor recently left college having undertaken a course in cyber security. She was finding it hard to get work and had been turned down on a number of occasions on account of her Asperger’s. Eleanor was drawn to the archaeology traineeship as she wanted to follow a career path that she would find interesting. Eleanor really enjoys the team atmosphere. I was struggling to get back into work but having taken part in a few community digs I had found it really helped to pick me up. I never thought the opportunity to explore a career in archaeology would arise or that I’d be selected to do the traineeship, so I’m really pleased to be here. Mick worked in the building trade for many years before becoming a publican. Having suffered with health problems Mick found himself out of work for a number of years. Whilst out of work Mick followed his interest in archaeology, taking part in community digs. He had been finding it difficult to get back into work and was thrilled to see the archaeology traineeship opportunity. He didn’t think he’d ever get the opportunity to explore a career in archaeology as he has no academic background in the subject so is delighted to have gotten a ‘foot in the door’.